The Patel Conservatory is now casting for our summer theater production of Shakespeare's The Tempest. This Patel Conservatory Theater production offers advanced-level training through nurturing and demanding classes and rehearsals. The summer intensive program is for students ages 14 through 25 who are interested in delving into classical theater techniques and improving their acting skills. The class culminates in a ticketed production of the play which is open to the public. 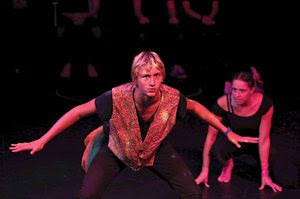 The Tempest summer intensive will be taught and directed by Shakespeare veteran Giles Davies. Davies was a resident company member of the Cincinnati Shakespeare Company for nine years, and also directed last summer’s Patel Conservatory Theater production of A Midsummer Night’s Dream. The Tempest is set on a remote island, where Prospero, the rightful Duke of Milan, plots to restore his daughter Miranda to her rightful place. Using illusion and skillful manipulation, he conjures up a storm, the eponymous tempest, to lure his usurping brother Antonio and the complicit King Alonso of Naples to the island. There, his machinations bring about the revelation of Antonio's lowly nature, the redemption of the King and the marriage of Miranda to Alonso's son, Ferdinand. Auditions will be June 15. Dormitory options are available. Particularly need males to fill the roles of Prospero, Antonio and King Alonso.